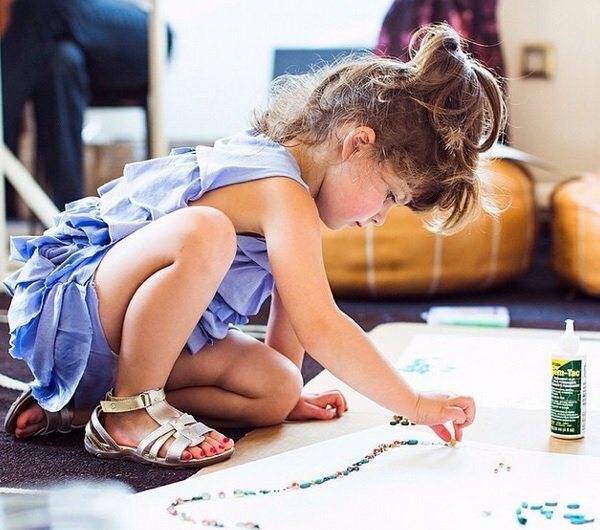 4 year old fashion designer Mayhem is working for J.Crew. J.Crew have an amazing new designer. And she's four. Do you remember what you were doing when you were four years old? Playing in mud, jumping on a trampoline, finger-painting? Whatever it was, we’re willing to bet it wasn’t designing for a top fashion house? Four-year-old Mayhem is currently putting children everywhere to shame, having just been employed to design for J.Crew’s children’s range, Crewcuts. The (very) young designer/social media sensation — is she the world’s smallest slashie?! — has over 400,000 Instagram followers and a popular blog called Fashion By Mayhem, which she runs with her parents. She is best-known for her amazing red carpet recreations, which she makes out of crepe paper, plastic bags and sticky tape. Inventive and entrepreneurial, we see. And now her wares have scored her a sought-after fashion gig, much to the envy of aspiring fashion designers everywhere. Her partnership with J Crew all began with a thread of emails between the fashion label’s Creative Director, Jenna Lyons, and Mayhem’s mother. Her mum wrote on Fashion By Mayhem, “A volley of friendly emails led to a conference call with four of the top J.Crew execs in which I made it very clear that we had ZERO design experience. ZERO. NONE. NADA: ‘We tape paper together. Sitting on our floor. That’s it. I swear. Just so we’re clear’. Mayhem jumped straight on a plane to J.Crew HQ (which is oh, you know, just in NYC), with her parents in tow. She set to work with metallic tape, jewels and bright colours — turning her crepe paper creations in to a sell-able clothing range. In all her creative glory. We’d be lying if we said we’re not slightly jealous, and also very impressed. We just can’t get enough of her incredible creations. 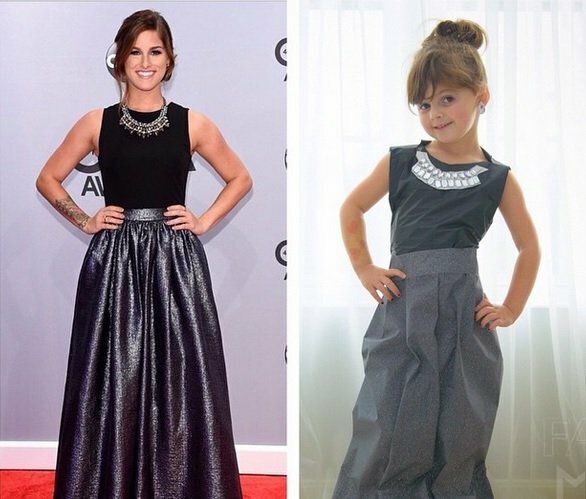 And we really can’t get over the fact that she’s only four. FOUR.